Our traditional budding pink rose bouquet is pure vintage! 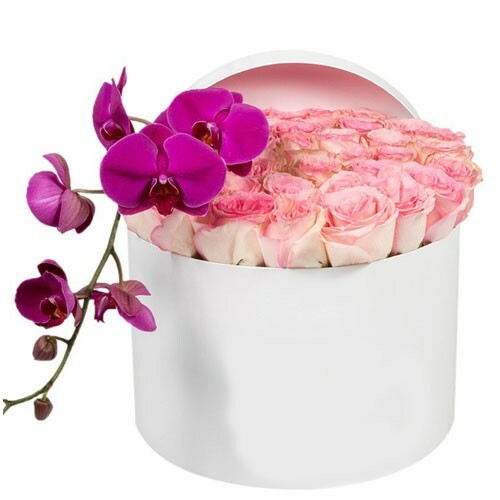 This delightful gift arrives tucked inside a white hat box with a purple orchid stem. This gift brings everlasting elegance to any apartment or home.